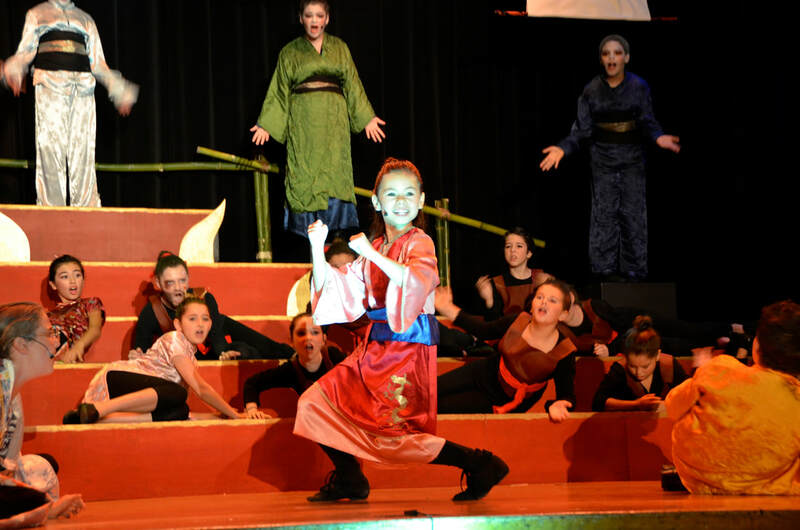 Musical Theatre Dance, Jazz, Ballet, Hip-Hop, Tap, Yoga, Martial Arts and more. Half the day will be dance/movement the other half Comedy/Improv. We are currently busy lining up some really wonderful guest teaching artists for you!! ​New to dee-Lightful...this musical classic parody of "The Princess and the Pea" fairytale takes place in The Middle Ages in a Far Off Kingdom. First produced decades ago Broadway, this time-tested work is hilarious with endearing characters such as: Princess Winnefred the Woebegone, Queen Agravain and her husband the mute King, Prince Dauntless, Lady Larkin, Sir Harry, The Minstrel, The Jester, A Wizard, Knights, Ladies-in Waiting and so many more. Incredible music includes notable songs such as "Shy", "Many Moons Ago', The Swamps of Home" and "Happily Ever After." .... Can't wait for this FUN adventure!!! Music Theatre International describes this show (an absolute dee-Lightful favorite) as "a heartwarming celebration of culture, honor, fighting spirit with hit songs and a story packed with action humor and heart." It supports a large cast with delightful characters as Mulan, her dragon sidekick Mushu, The 5 Ancestors, Mulan's Mother, Father and Grandmother, and Shang the Chinese army captain. Hit songs include Reflection, Written in Stone, Honor to Us All, Keep 'em Guessing, I'll Make a Man and A Girl Worth Fighting For. We're so looking forward to doing this show again!! ​Children ages 7-17 will have a blast rehearsing and performing two fabulous Broadway-style musicals this summer during our two 4-week summer sessions! Daily activities include acting, dance, and singing instruction, arts and crafts, outdoor play, swimming and surprise guest artists. Copyright 2018. dee-Lightful Productions. All rights reserved.